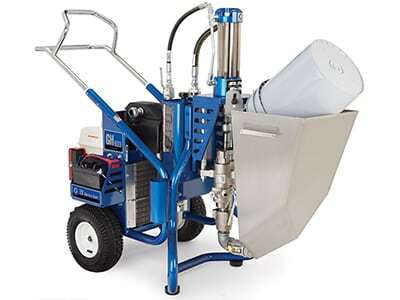 Since 1926 Graco Inc. has been a leading provider of premium pumps and spray equipment for fluid handling in the construction, manufacturing, processing and maintenance industries. Graco works closely with distributors around the world to offer innovative products that set the quality standard for spray finishing, paint circulation, lubrication, sealant and adhesives dispensing, process application and contractor power equipment. When it comes to process applications, it’s tough to beat the Graco® pumps! They offer a variety of piston transfer and Husky™ air-operated double diaphragm pumps for your low to high viscosity fluids. Graco® pumps are manufactured with your productivity in mind – providing you a more reliable, efficient pump! All Husky™ Air-Operated Double-Diaphragm pumps feature simple, exceptionally reliable air valves that make the Husky™ line among the most reliable pumps in a variety of applications. The unique, patented air valve design has a three-way pilot valve for true non-sticking operation. All parts are replaceable without opening wetted body parts. Husky™ pumps have a 15 year air valve center section warranty and a 5 year pump warranty.